Apple has been granted a permit that enables it to test autonomous vehicles on public roads in the state of California, according to the California DMV website (via Business Insider). Apple was added to the list of permit holders that are allowed to participate in the Autonomous Vehicle Tester Program in California on Friday, joining companies like Google, Tesla, BMW, Honda, Ford, Nissan, and more. Obtaining a permit for autonomous vehicle testing requires multiple steps, including outlining details for each specific vehicle being tested, suggesting Apple may have some sort of software test vehicle that's road ready. Whether Apple will actually begin testing a vehicle remains to be seen, as some companies sign up and then don't go on to use it, but should Apple begin vehicle testing, public reports will need to be filed. In California, all companies that participate in the Autonomous Vehicle Testing Program must file Disengagement Reports that outline how many miles were covered with self-driving vehicles, so if Apple does test a vehicle, the information will be shared on the DMV's website. Apple's acceptance into the Autonomous Vehicle Tester Program confirms the company's work on a car-related project. Early rumors suggested Apple was developing its own autonomous electric vehicle, but Apple is said to have since transitioned to building an autonomous driving system rather than a full blown car. Developed under the leadership of Bob Mansfield, Apple's autonomous driving system could allow it to partner with existing car makers or return to its own car development project in the future. 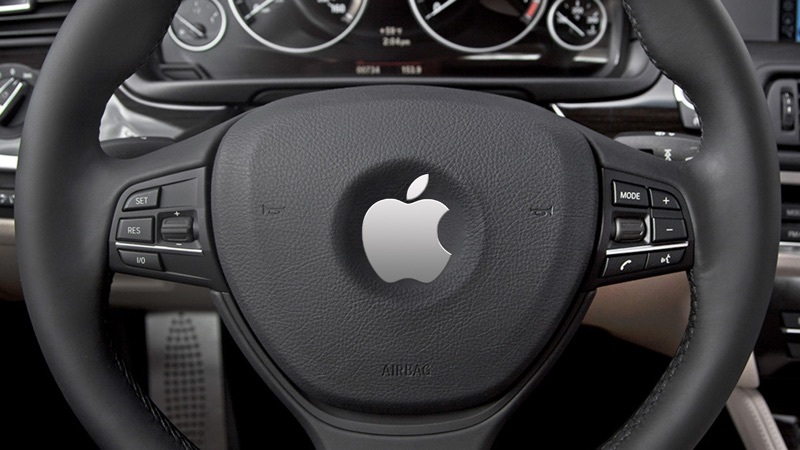 Apple executives have reportedly given the car team until 2017 to prove the feasibility of an Apple-designed autonomous driving system, and its approval to road-test vehicles could be a signal that the project is advancing. Update: According to Bloomberg, Apple filed for a permit because it plans to start testing its self-driving car software platform on public streets. The software will be put in existing cars, with the permit covering three 2015 Lexus RX450h SUVs and six drivers, according to a DMV spokesperson. I hope it's not using Apple Maps for directions. This gets too old, Maps improved so much that it's on par with others. LMAO, Apple's Maps is such junk. Notice how the guy's only response is that Apple's Carplay 'looks pretty' ?? LOL, typical Apple consumer. Looks pretty, but it's junk. Glad I'm on Android, Google Maps has been amazing getting through traffic jams and such. If you're on Android, how do you know "Apple's Maps is such junk"? And Mac Pro's are affiliated with Apple receiving Permits to Test self driving cars? You do know Apple has more than one Department that works on various projects within the Company? You think I take such a video serious, within 5 seconds I know one guy hates Apple Maps and the other one loves Google Maps. I hope they don't use Google. In my area (Northern Italy) they sent me into no man's land several times, and I completely gave up and disinstalled the app. Apple Maps are way better. Obtaining a permit for autonomous vehicle testing requires multiple steps, including outlining details for each specific vehicle being tested, suggesting Apple may have some sort of test vehicle that's road ready. So much for the "failed Apple Car" haters.